Happy New 2016 Year to everybody!!! Happy, almost came, New 2016 Year to everybody!!! 2015 year was hard, in some respects even nightmarish, but mostly it was very good : I knew very much about myself and other people, learned what I can do, found my deeds to do and will advance them further, study and learn more about this world; met and became acquainted with lots of remarkable people, relationships with which is a mirth to me, and was able to learn lots of things from them; 2016 year promises to be more long-range, higher and, maybe, slightly sailing :-) . Congrats to everybody with New Year, the good, happiness, love, health and mirth, the other things human will be able to do by oneself, if learned this. Company Pioneer recently released new dynamic over ears headphones SE-MJ503, with 10 Hz – 24 kHz reproducible sounds frequencies range and closed back acoustic architecture. 30 mm membranes, moved by neodymium magnets, are built into them, their impedance is 32 Ohms, sensitivity is 100 dB and maximal input power is 500 mW. To both cups detachable 1.2 m cable with volume control module and 1/8″ mini-jack gold-plated plug is mounted for connection to sound source. Mass of headphones is 126 g ( without cable accounting ), they are supplied in 5 color variants : black, white, green, red and blue, and can be folded for more compact storing and carrying. Headband and cushions of Pioneer SE-MJ503 are covered with soft material for comfortable long-time wearing; each cup has only 1 audio emitter; they have no active noise-cancellation function, as some monitor headphones have, wherein they have quite good noise isolation. Device has no built-in microphone and smartphones control button. Package contains : Pioneer SE-MJ503 headphones themselves, warranty card and user’s guide. They cost around 18 Euros : for 10 Hz – 24 kHz and neodymium magnets – this is a great price; there is ability to find cheaper headphones, but their reproducible sounds frequencies range is narrower and they have ferrite magnets; so, these ones – are one of the best variants for high-quality sound playback. There is also need to note, that for the close price there is ability to buy 40 mm monitor headphones, providing higher quality of basses reproduction. Adding acceptable amount of money, there is ability to buy 50 mm monitor headphones, providing even better basses playback quality and loudness. If from device compactness and small mass are needed, then there is ability to buy in-ears headphones, which do not provide the same quality of audio playback, as monitor ones do, especially in basses area, but they cost much cheaper, have small sizes, are light and comfortably place inside of ears. Which is especially important during sportive exercises and trainings; cable of such headphones often has slider and clip for prevention of tangling and clinging to clothes and surrounding objects. 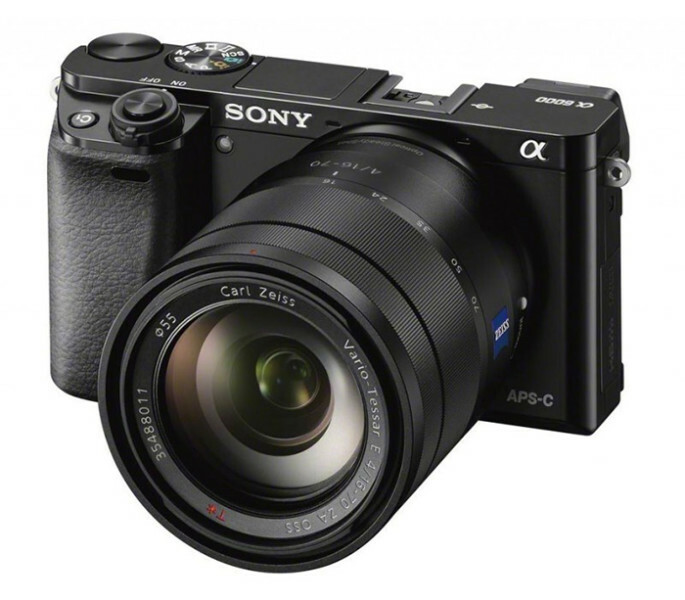 One of the newest mirrorless compact cameras is APS-C sensored camera Sony Alpha ILCE-6000 with built-in viewfinder and tilting display. Its sensor has 24.3 MP effective resolution, BIONZ X graphical processor, optical image stabilization ( with lens, that support it ) and Sony E bayonet for interchangeable optics are built-in. It makes photos with 6000 x 3376 pixels maximal resolution and saves them in JPEG, RAW and RAW+JPEG formats; supported video recording modes are Full HD 1920 x 1080 60p/24p and HD 1280 x 720 60p/24p with saving in AVCHD 2.0 ( with MPEG-4 AVC/H.264 image encoding; and Dolby Digital AC-3 or Dolby Digital Stereo Creator stereo sound ) or MP4 ( MPEG-4 or AVC/H.264; MPEG-4 AAC-LC ) formats, wherein sound is recorded via built-in microphones. ISO sensitivity levels are in 100 – 25600 range; viewfinder resolution is 1.44 M dots, LCD screen is 921.6 K dots – it is not touch screen, camera has built-in flash. 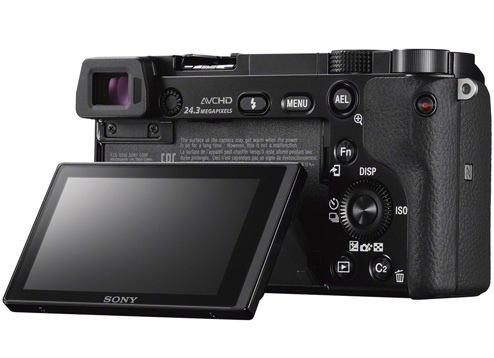 Sony Alpha ILCE-6000 saves photos and videos on Memory Stick PRO Duo, Memory Stick PRO-HG Duo, Memory Stick XC-HG Duo, SD, SDHC and SDXC ( UHS-I ) flash memory cards; and supports wireless Wi-Fi connections with NFC One-touch function for remote data transferring and control. 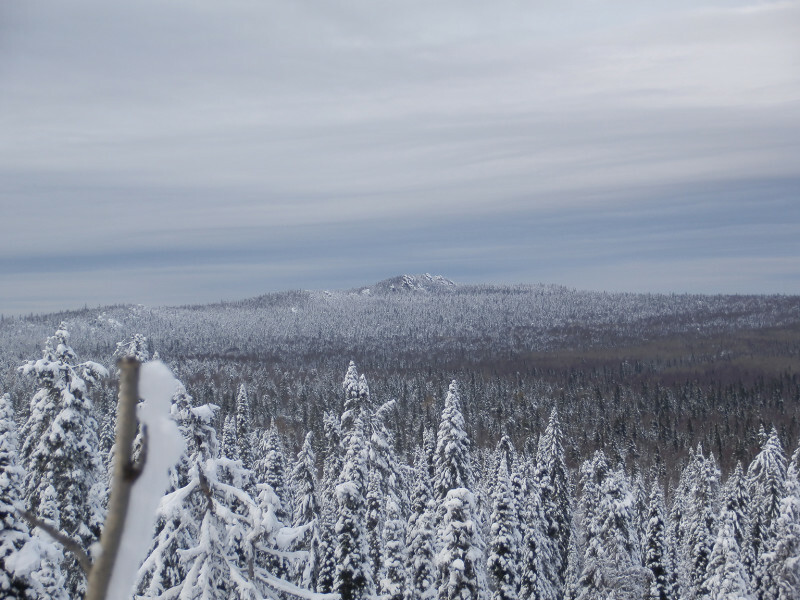 Camera can record photos and videos with automatic and manual focusing, diaphragm and exposure settings and can be used for astronomical photos making with use of T-ring adapter. It has following connectors : USB for connection with computer and Li-ion battery charging, HDMI Micro Type D and Hot Shoe; one charge of NP-FW50 battery is enough for 360 photos ( this is a good value for compact mirrorless cameras with interchangeable lenses ); it has only one speaker, playing mono sound. Device sizes are 120 ( width ) x 66.9 ( height ) x 45.1 ( depth ) mm and mass is 285 g ( only camera without lens, memory card and battery ); working conditions are the same, as other similar cameras have : temperature in 0 – 40 degrees on Celsius range and relative air humidity in 10 – 80 % range. Package contains : Sony Alpha ILCE-6000 camera itself, Micro USB cable, Li-ion battery NP-FW50, optional AC-UB10 power adapter, recharger, shoulder strap, lens mount and viewfinder caps, warranty card and user’s guide; there are also kits with included lenses. Camera is great and worth its money, one single 24.3 MP APS-C sensor worth it + there are BIONZ X graphical processor and different semi-professional functions. 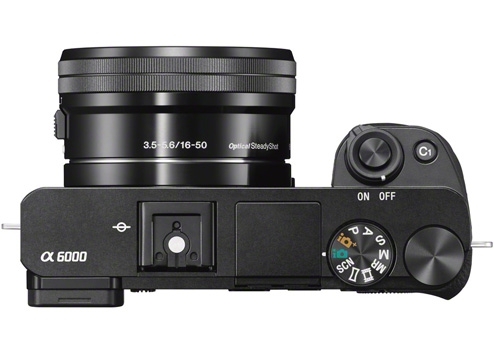 So, if there are enough money to buy such camera, then it is better to buy it, but if it costs too much, then there is ability to look on Micro Four Thirds cameras of Olympus and Panasonic, giving great photos and videos, if used properly, with more affordable price, wider interchangeable lenses range and usually their lower price. Among new smartphones recently Philips Xenium V787 was announced, working on Android 5.1 platform with 5000 mAh battery and Full HD 1920 x 1080 5″ multi touch IPS screen with tough glass. In it following modules are built-in : 8-cores MediaTek MT6753 processor with 1.3 GHz frequency, Mali-T720 graphical chip, 2 GB of RAM, 16 GB of built-in memory with ability to extend via Micro SD slot for flash cards with 128 GB max capacity and 2 Micro SIM slots. Smartphone can work in 2G, 3G and 4G LTE networks; GLONASS, GPS and A-GPS navigation systems are built into it, as well as movement, acceleration and proximity sensors. 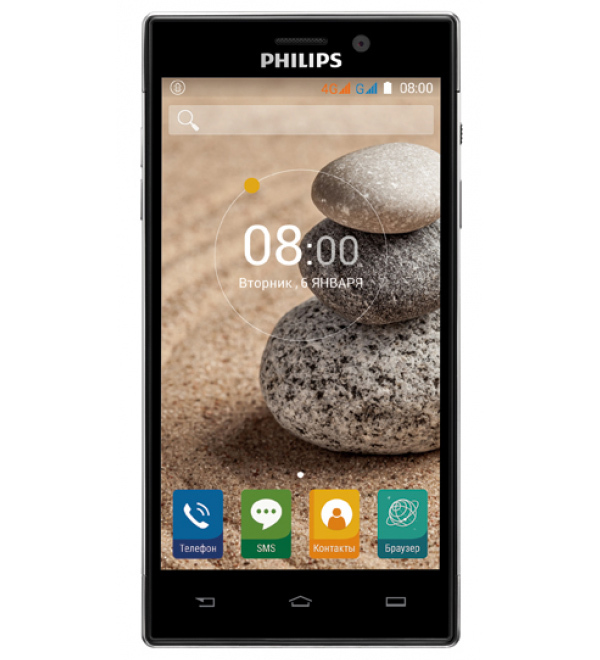 Philips Xenium V787 has 2 cameras : 5 MP frontal one and 13 MP main one with LED flash; it supports wireless Wi-Fi and Bluetooth ( 4.0 ) connections for data transferring and communications with other devices. It has USB 2.0 port for connection with computer and built-in Li-ion battery charging and 1/8″ mini-jack connector for headset; charge of Li-ion battery is equal to 5000 mAh – this is a very good value for smartphones ( it is enough for approximately 24 hours of talking ). Device sizes are 71.5 ( width ) x 143.2 ( height ) x 9.8 ( depth ) mm and mass is 164 g, in its body plastic and metal parts are used for increased wear resistance. 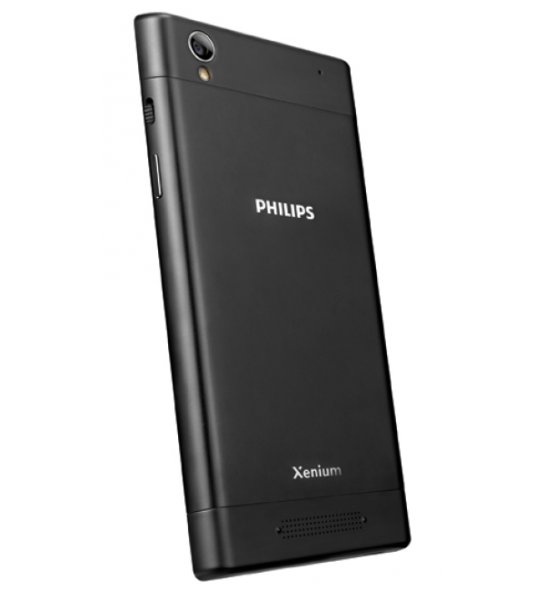 Package contains : Philips Xenium V787 smartphone itself, USB cable, recharger, headset, warranty card and user’s guide. Smartphone is good : having big Full HD screen, 5000 mAh battery and powerful processor and graphical chip; from its minuses only built-in battery can be noted, which can be replaced only in service-centers or by oneself with warranty void. Now it is available for preorders for approximately 250 USD – this is a adequate price to its functions, for the same or smaller amount of money devices with similar characteristics of Microsoft, Huawei, Highscreen and other manufacturers production can be found. 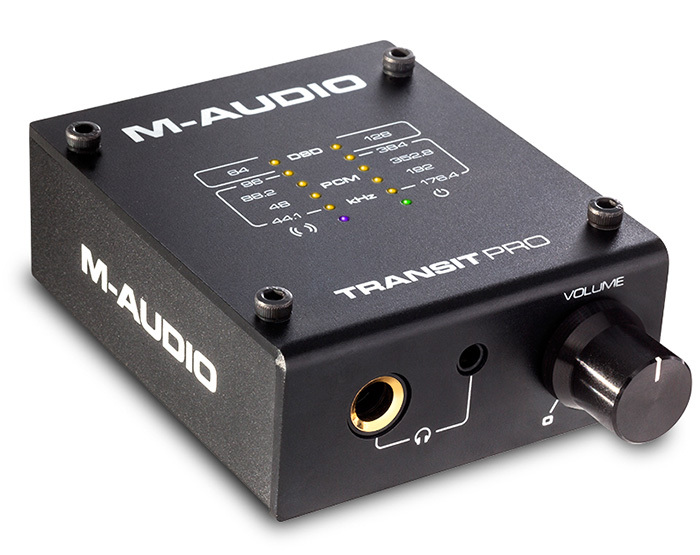 Company M-Audio released new external DAC Transit Pro with support of work modes up to 384 kHz sampling rates and 32 bits per sample precision. 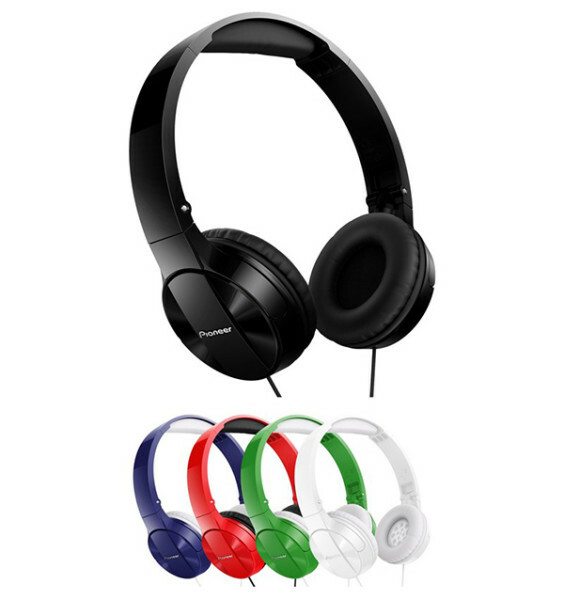 It is able to convert digital USB signal to optical one and output analogue signal to headphones connectors with built in amplifier. On sound card frontal panel 1/4″ jack and 1/8″ mini-jack headphones outputs with their volume control knob are placed; on back panel : optical output, optional power adapter input and USB port ( for communication with computer and powering from it ) are placed. M-Audio Transit Pro has following characteristics : signal to noise ratio 112 dB, THD+N 0.003 %, support of headphones with 16 – 600 Ohms impedance and support of Direct Stream Digital ( DSD64 and DSD128 ) modes. Audio interface is powered via USB connection, but can receive power via power adapter input, for example, when it is connected to notebook and there is need to save its battery. For it drivers are released for Windows 7, 8, 8.1 and 10 and Mac OS X 10.9 and newer operating systems. Package contains : M-Audio Transit Pro external sound card itself, USB cable, warranty card and user’s guide. This audio interface’s main task is to convert digital USB signal to optical one with ability to output high-quality analogue signal via headphones ports. For its tasks it is very good; but if there is need in more functional external sound card for wider range of tasks ( high-quality analogue signals recording, MIDI ports support, high number of analogue outputs and other functions ), then it is better to buy one of Steinberg, Behringer, Focusrite, Roland, ESI, M-Audio itself or other manufacturers production. 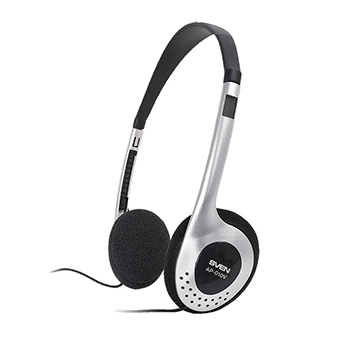 Lets review today compact on ears headphones Sven AP-010V, which cost around 5 USD. 27 mm membranes are built into them and they can reproduce sounds in 20 Hz – 20 kHz frequencies range, have 32 Ohms impedance, 105 dB sensitivity and 2 m cable with 1/8″ mini-jack connector and built-in volume control module. They are designed in black and silver colors, have light construction with adjustable headband and soft ears cups for comfortable long time wearing. Package contains : Sven AP-010V headphones themselves, warranty card and user’s guide. Headphones are good and make their job, wherein their price is very adequate to their functionality and in value/price ratio terms they are better, than many other similar devices. Russian manufacturer Highscreen recently released new device Bay – smartphone, working on Android 5.1 platform with 5.5″ AMOLED screen with HD 720 x 1280 pixels resolution. In it 8-cores processor MediaTek MT6753, working with 1.3 GHz frequency; Mali-T720 graphical chip; 2 GB of RAM; 16 GB of built-in memory with ability to extend via flash cards, inserted into slot for micro SD and micro SDHC cards; and 2 micro SIM cards slots are built-in. Smartphone can work in 2G, 3G and 4G LTE networks; supports GLONASS and GPS navigation tools; and has lighting, proximity and acceleration sensors. In Highscreen Bay there are 2 cameras placed : 5 MP frontal one and 13 MP main one with auto focusing and LED flash; smartphone supports wireless Wi-Fi ( IEEE 802.11 b/g/n ) and Bluetooth ( 4.0+EDR, A2DP, HID, PB AP ) connections establishing for communication with other devices and remote data transferring. It has USB Type-C port for connection with computer and Li-ion battery charging ( external devices also can be connected to it in USB OTG mode ) and 1/8″ mini-jack connector for headset; charge of Li-ion battery is 3150 mAh ( this is a good value for smartphones ). Device sizes are 154 ( height ) x 77 ( width ) x 7.2 ( depth ) mm and mass is 153 g; it is supplied in 3 color variants : light-brown, black and white. Package contains : Highscreen Bay smartphone itself, USB Type-C cable, HiCover case, Li-ion battery, recharger, headset, warranty card and user’s guide. All in all, smartphone is good, it costs around 250 USD – such price is mainly due to use of large AMOLED screen, because devices with IPS LCD screens with similar characteristics cost much less, for example, among Microsoft, Huawei, Highscreen itself and other manufacturers such smartphone can be chosen. Among ESI devices there are compact audio interfaces, capable to record stereo sound, for example, PHONORAMA, supporting sampling rates up to 96 kHz and 24 bits per sample precision. 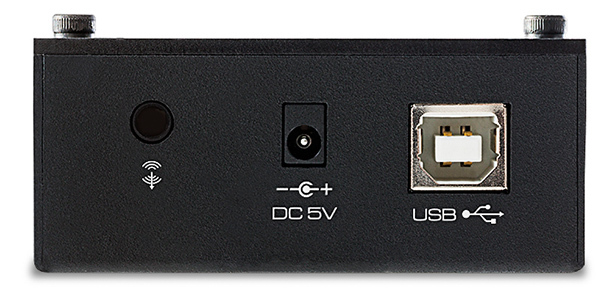 Its frontal panel has : 2 RCA inputs with gold-plated connectors for stereo sound recording; grounding connector; and Mini USB port for communication with computer and powering. Its back panel has : 2 TRS ( 1/4″ jack ) outputs for headphones and speakers connection or signal passing ( judging by ESI UGM96, only their outer rings are look like gold-plated, but connectors themselves are inside and they are nickel-plated ); and power and peak indicators for right and left channels. To card’s inputs preamplifier is connected for signal level increasing. For ESI PHONORAMA drivers are released for Windows XP, Vista, 7, 8, 8.1 and 10 with ASIO 2.0 interfaces support and for Mac OS X with Core Audio interface support, with which in modern DAWs ( Avid Pro Tools, Ableton Live, Steinberg Cubase, FL Studio, Cackewalk Sonar, REAPER and others ) there is ability to use card’s capabilities to their full extent. Cards characteristics are as following : ( THD+N 0.0025 %, 10 kOhms impedance ), with Moving Magnet systems connection ( THD+N 0.03 %, 47 kOhms impedance ), with Moving Coil systems connection ( THD+N 0.08 %, 47 kOhms impedance ), linear outputs ( THD+N 0.0022 %, maximal output power 100 mW and 32 – 600 Ohms impedance ); analogue to digital conversions ( dynamic range 102 dB, S/(N+D) ratio -92 dB ), digital to analogue conversions ( dynamic range 108 dB, S/(N+D) ratio -97 dB, channels isolation 100 dB ). Devices usually consumes 1.1 W of power and 500 mA maximal current; its sizes are 6 ( width ) x 7 ( depth ) x 1.7 ( height ) cm. Package contains : ESI PHONORAMA sound card itself, USB cable, optical disk with drivers and software, warranty card and user’s guide. Audio card is very good for its tasks and in comparison with similar Roland, Behringer and other manufacturers devices, it superior to them in sampling rate and bits per sample precision; wherein ESI devices usually cost less, than audio interfaces of other manufacturers. Company Xiaomi recently released new in-ears headphones Piston Youth with built into their volume control module microphone and smartphone remote control buttons. They can reproduce sounds with frequencies in 20 Hz – 20 kHz range, have 32 Ohms impedance, 98 dB sensitivity and 5 mW input power. To both cups 1.25 m cable is connected, reinforced with kevlar and with 1/8″ mini-jack connector with nickel-plated contacts. Headphones mass is 15 g. Package contains : Xiaomi Piston Youth headphones themselves, warranty card and user’s guide. 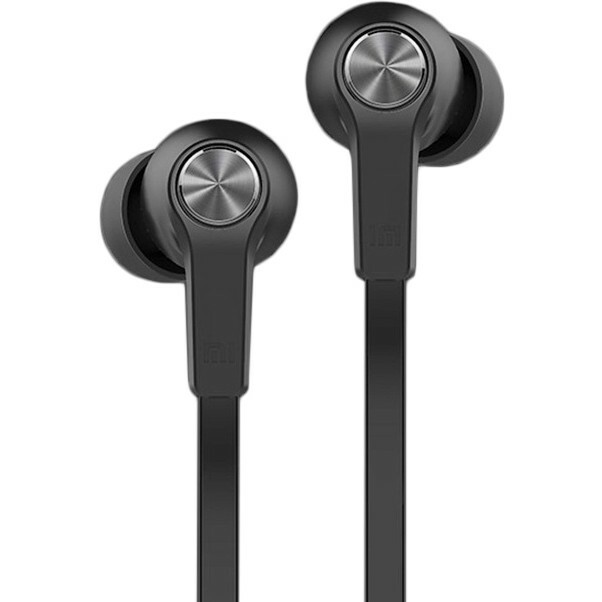 All in all, headphones are good and their price is adequate : around 12 USD, however, there is ability to find in-ears headphones with similar characteristics for smaller price. 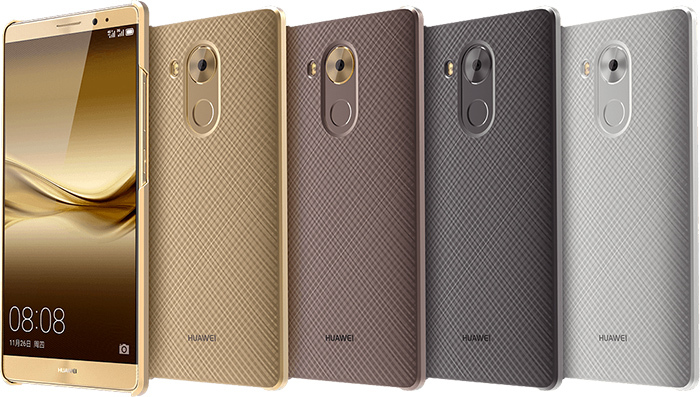 Among smartphones new device was released : Huawei Mate 8 with large 6″ multitouch IPS LCD screen with Full HD 1080 x 1920 pixels resolution, 367 PPI density and tough Corning Gorilla Glass 4. It works on Android 6.0 platform. 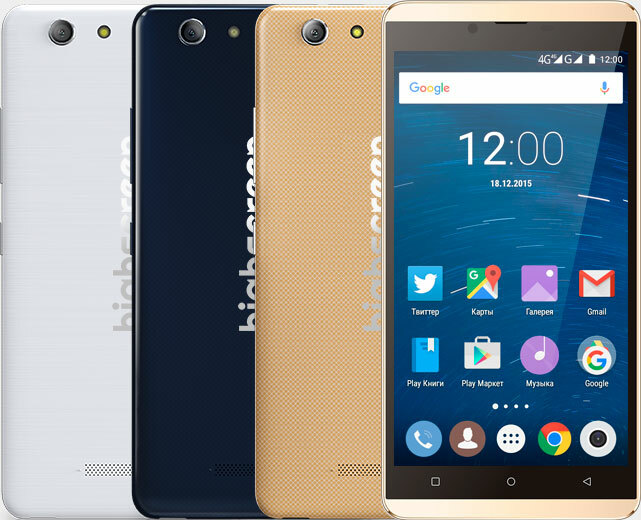 In smartphone following modules are built in : 8-cores HiSilicon Kirin 950 processor, Mali-T880 MP4 graphical chip, 3 or 4 GB of RAM ( depending on modification ), 32, 64 or 128 GB of built-in memory with ability to extend via flash memory cards with 128 GB max size, inserted into slot for second SIM card. Overall there is ability to use 2 SIM cards; it can work in 2G, 3G and 4G networks; GLONASS, GPS and BeiDou navigation systems are built into it; as well as lighting and proximity sensors, gyroscope, electronic compass and fingerprints scanner. In Huawei Mate 8 two cameras are placed : 8 MP frontal one with 1080p video recording support and main one with 16 MP 1/2.8″ sensor, optical image stabilization in lens, autofocusing, dual LED flash and HDR functions. Smartphone supports Wi-Fi ( 802.11 a/b/g/n/ac ), Bluetooth ( 4.2, A2DP, EDR, LE ) and NFC wireless connections for remote data transferring and communications with other devices. In it Micro USB 2.0 port ( for communication with computer, Li-ion battery charging and other devices connection in host mode ) and 1/8″ mini-jack connector for headset are built in; charge of Li-ion battery is 4000 mAh ( it is very good value ), it is enough for approximately 528 hours in stand-by mode. From other functions support of FM radio with headset can be noted; device sizes are 157.1 ( height ) x 80.6 ( width ) x 7.9 ( depth ) mm and mass is 185 g. It is supplied in 4 color variants : gold, light-brown, dark gray and white. Package contains : Huawei Mate 8 smartphone itself, Li-ion battery, recharger, USB cable, warranty card and user’s guide. 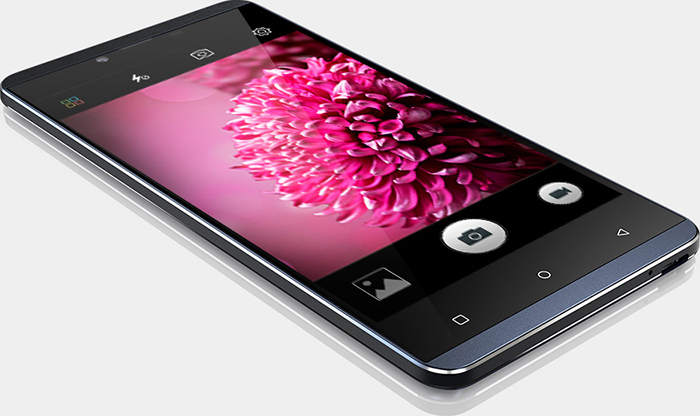 Overall smartphone is very good : it has large 6″ screen, powerful processor and graphical chip, large RAM and built-in memory sizes and full spectrum of navigation systems and sensors; and here is need to compare it with close level devices of Microsoft, Highscreen and other manufacturers, which do not overprice their smartphones, to find the best one in value/price ratio respect.